It's possible to buy all the parts, including raw microfibre, made in the UK, but there isn't a cheap range of welfare state pants in the shops. Shopping, jobs, poverty bonds & ethical fashion are links to separate pages. The shopping page lists some sites where you can buy pants made in a democratic welfare state; the jobs page lists some ideas for reducing UK poverty apart from the welfare state, and the bonds page shows accounts of previous companies that sold poverty bonds and got a tone of favours and subsidies from ministries and journalists and development experts who are so ignorant that they don't know how to reduce poverty. https://veg-buildlog.blogspot.com/2015/07/setting-up-shop-with-uk-business-bank.html is a much more popular page on the same kind of subject. A government review by a former underwear trader - Michelle Mone - could have been titled "Jobs to Poverty", but it began as "Barriers to startup businesses in areas of high unemployment", then published as "Boosting Enterprise In More Deprived Communities" - that's a .gov.uk page with a pdf on it that I should read some time. It's not a classic but if they read my suggestion, which I doubt, then I ought to read their pdf. The ideas below were sent to the review and got an acknowledgement from a civil servant. Only suggestions from organisations get acknowledgements in the report itself, so they were probably the only ones read carefully to the end and thought-about. That's a pity. Organisations tend to request schemes and grants that they can manage, so it's obvious straight-away that their ideas are informed and it's clear who should do what, with all the zoning and application processes and costs of a managing a scheme. The best ideas are like universal benefits, open to everyone and cheap to run, but harder to digest because it's not quite clear who should do what at first glance. Michelle Mone has an OBE for "services to the lingerie industry", designing and selling Sri-Lankan bras, was appointed to the house of lords for producing the report, where she admits voting to cut benefits by mistake. Apparently there is no appointed second chamber in the Sri Lankan parliament, so she had to make-do with the one in the UK where her bras were sold. This was the result. I got a reply as well: "Dear John, Many thanks for getting in touch. And sincere apologies for the delay in replying. Thank you very much for sharing your insight and thoughts, it is much appreciated. Kind regards, Anita Lisac | Michelle Mone Review | Department for Work and Pensions | Floor 4, Caxton House, Tothill Street, London SW1H 9DA". So the review was a bit like Kids Company and Pants to Poverty - a tool to discourage civil servants - but it combines pants and poverty so I put my suggestions here. I have some ideas to reduce barriers to self-employment and startups for people in areas of high unemployment, maybe on low incomes. (1) Markets attract new recruits to trading. So a duty on councils to provide for markets would be good. They could add a rule that X% of stall holders will be recently unemployed if they want. They or some government body can research locally-produced goods that might be available; adult education classes or mentor-ship schemes might help potential smallholders find stock in other ways. Smallholders need cover, tables, and storage. [added - some people think third party insurance as well. I don't know why. On reflection I think indoor markets are nicer]. Things that a central government grant with strings attached could provide. They also have rivals running supermarkets that have so much buying power that they can promise to pay for goods after selling them, if they sell, and at a reduce price if they choose to do a discount. I don't know what to do about that problem so I will pretend that it does not exist; there is still room for more smallholders. One final point about councils. They have a care crisis. They do not have money. They may want to spend money on flashy things that people notice like markets and wifi in libraries, but devolved budgets cannot handle it; the budgets need to be from specific central grants out of Edinburgh or London. Essential for business research, web sales, and finding-out the next thing to do in life. The requirements for unemployed people include free wifi, hardware, and software which can each be a barrier to access for someone on a low income who is just experimenting and not yet convinced of benefits. (a) Free Wifi and Voip. A book on Drupal web sites** states "Id like to also thank the good people of Oberlin, Ohio ... this book ... was written almost entirely at the facilities of Oberlin College and the Oberlin Public Library, with occasional stints in several of the towns restaurants, bars, cafes, and lobbies, and in the Wi-Fienabled town square. I couldnt have chosen a better place.". If every public library and council estate had free wifi, there would be a great benefit with next to no admin costs. Taxpayers would only pay for the signal. Perhaps, over time, some method like BT shared internet could be developed for people to share internet connections without sharing card data and bank details and things of that kind; a router that allows free access to your signal to neighbours and passers-by without security risks would be a good thing to develop. I don't know how to do it nor, to be honest, know how to use Voip either but other people might. It is already cheap on ebay. Large organisations sometimes have piles of it to give away and individuals use Trashnothing or Streetbank to give it away. What's needed is a way that jobcentres and schools could publicise existing ways for people on low incomes to get hold of this hardware, ideally alongside everyone else but if necessary with some kind of rationing. Would there be enough hardware? Is there a way to get more available? My next points cover this. Government is terrible at using open source or free software. The Cabinet Office could take a lead; any department could take a lead, starting with Libre Office instead of Word. It's hard to prove the obvious: that zero licence fees would save money. It's easier to prove that software with free licences would make used hardware more accessible to people on low incomes, and increase participation in the economy. If more organisations used free-to-download software, then there would be a demand for more adult education classes using that particular type of software, and people on those classes, such as an office skills class for unemployed people, would have more chance of picking-up software to use at home. Lastly, people who want to give away a pile of old computers would have more chance of wiping data off the disks and still providing a computer that people want as a gift. They could give away computers with a free non-microsoft operating system and standard open source software to run on it. For that reason, I think the Cabinet Office or the Department for Work and Pensions should start using Libre Office and move-on to some of the other open source alternatives on Osalt.com. I think that government grants to councils and third sector organisations should be sent with a clause that says "if you use proprietary software we deduct £100", just as there are clauses that say things like "you must use an accountant" and "you must have an equal opportunities policy". The cost of phones is obviously a barrier to entry into parts of life, including business, for people on low incomes. My phone cost a few pounds second-hand. It runs on one of the pay as you go services you can see on https://payg.pythonanywhere.coml https://payg-petef.rhcloud.com. So why do other people pay £30 a month in rental and insurance and confusion-marketing of free minutes mixed-in as well? I think that this is a market failure, and that government can reduce confusion by taxing the sale of locked mobile phones, and of monthly mobile subscriptions. As a result, confusion-marketing of mobile phone services will reduce, users of phones will get a clearer deal, and there will be less waste of old phones left unused because locked to one of the networks. A side effect of this is to reduce waste of minerals used in making phones. Not much, but a little. I heard somewhere that the political system of Congo can't cope with demand for the minerals; demand leads to protection rackets and gangs and wars, so there's no great loss to Congo from having slightly fewer mineral sales and possibly a benefit. (Getting back to the UK - This is a similar idea to the idea that fuel companies have fewer tariffs and always quote the cheapest - something that government is doing already). When I saw a lot of padlocked and abandoned factories on a tour of the olympics site, the tour guide suggested that they were un-lettable. I rang some of the numbers on the landlords' signs. They could barely bring themselves to answer the phone, let-alone pay-in a cheque, for under £1,000 a month. When you hear that businesses have trouble starting because of lack of money, that £1,000 a month could be one of the reasons they need it, and if the market in workshop space worked better then the space would be let and the rent would be cheap. I'd like to invent a scheme - not very clear in my mind at the moment - by which landlords of empty workshops were forced to let them at the market rate, even if that rate is zero, or allow a public body to take the space over and do it for them. (5) Accountancy and book-keeping skills. After watching the news about Kids Company I notice two things. Too many applicants are said to want the services of Kids Company by its director. I suggest that public services reveal more lines of their bank statements to the internet, using the waveapps service and some sofware work-arounds, so that they become transparent financially. This benefits well-run organisations. It reveals faults with firms like Kids Company. It attracts more people who think they could do better as trustees or book keepers or accountants. I hope some of these ideas can help start-ups get established in areas where unemployment is high. There is only one free business bank account available - an ICCI account with a long application form and online notes of people being turned-down. Most personal accounts make enough money from sales and use of the customers' money to pay for the basic account service without fees. So why not the same for business? Typical standing charges are £3-£5 a month with Allied Irish cheapest at £8.50 a quarter, or £2.83 a month. The banks also charge for services that are probably nearly free to provide, like standing orders or bank tranfers in or out. There isn't anything offered in return like a free two hour's accountancy and telephone advice, which would be easy for a bank to arrange because they've got the lines of data on their computer already. (1) If anyone reading this knows how to set-up a basic bank account for business, please do it. For the rest of us, we have to hope that the market works well enough and that somebody will do it eventually. (2) If anyone reading this wants to spend time writing screen-scraping software and updating online tables of bank accounts, please do it. Money Advice Service could help British Bankers' Association do a better account comparison service than they currently do with Moneyfacts, so that the rare free business bank accounts are easier to find. It would be more upt-to-date, include new banks that aren't in the association, and be searchable by price. The deal could be that Money Advice Service offers a link in return for British Bankers Association including non-members in their list, allowing it to be sorted by price, and keeping it up to date. (3) Monopoly laws to prevent a bank from discriminating against business customers by preventing them from opening "trading as" accounts or changing the name of an account to the name of a company. At the moment, people like me have private accounts used for business, but there is always a risk of the thing being closed-down and a request for a business name would trigger closure. (4) Government or someone to sponsor a basic business bank account and provide the software that other people could bolt other services on to. Given governments' record on IT, I guess this would best not be done by a ministry. Maybe if major banks were reguired to make their IT available to challenger banks at cost, or something like that, there could be a chance for free business bank accounts to become normal. *Long footnote about selling UK-made goods to the UK market. In the long term, I hope that the Department for Business releases more information about UK producers of goods in the hope that people in the UK discover how to buy them. This could make the market work more smoothly than at the moment - recently the Tullis Russell paper mill was closed for lack of interest by UK consumers. Surely, if people knew that a paper mill was paying UK taxes and sustaining a democratic welfare state like the UK, they would be attracted to its products just as they are attracted by good distribution and low price? The government produces no such list of UK manufacturers and information held at UK tax offices is not available to freedom of information requests under some special law or other. Government does produce guidance on buying paper, published by Wrap for Defra, but it is to promote recycled office paper and there is no mill in the UK producing recycled A4 copier paper so the scheme puts its own taxpayers out of work. If you look for adult education courses near the closed Tullis Russell paper mill in Fife - postcode KY7 6PB - not much comes up on Hotcourses.com. People on low incomes might look for council-run classes in case there are discounts, and there is a list of 60 on fifedirect.org.uk . The list has a lot of leasure and community-building courses. The list has few job-creation and access to business startup courses, which is fine but there is no long to show where to find them if they ecist. The few work-related ones on fifedirect avoid use of expensive capital goods. There's nothing about paper-making. There's one about making pots, presumably by hand. There are one or two about photography and software with a sting in them: they want you to use Photoshop which is however-many pounds to buy, while most of the same skills could be tought in Gimp and Paint.net which are free and which employers like Fife Council could use if they wanted to. There are probably other courses known to job centres and schools which are more geared to work and startups but I don't know where to find them and doubt that the people of Fife know much better. If your business goal is to transform a derelict building thats been vacant for at least a year into a new project, then youre sure to be entitled to financial help at this stage. The business premises renovation allowance offers SMEs a full 100% allowance on buildings that require work and renovation, in order to be fit for business purposes. Please note that qualifying properties must be in a disadvantaged area and that this break is only open until 2017. Capital allowances are also available for SMEs that frequently use machinery on a daily basis. You can check for a list of eligible items directly on the HMRC website. Theres also the Enhanced Capital Allowance (ECA) scheme which provides SMEs with enhanced tax relief when choosing to invest in energy saving equipment. You can find further details on this topic here. 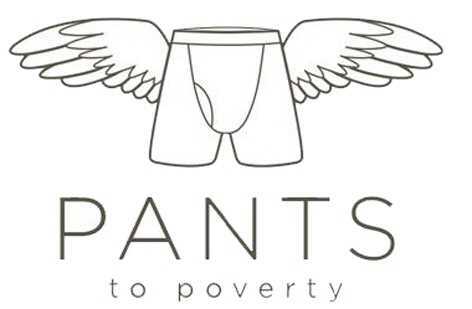 Ppeople did a lot of work for pants to poverty just to help cotton farmers, and for experience, and for expenses. One or two in the office got mediocre wages too. I came-across a list of models for example and hope they get whatever kind of work they're looking for. There were A-level students studing stallholding as well - I haven't got links for them. art direction Romain Renoux and Ben Ramsden, assistant Myléne Porte. Talking of which, Romain Renoux' linkedin CV suggests that he did a lot of the managing, after promotion from a volunteer job, while the gaffer was out of the building which was months at a time. These credits are buried away from the rest of the site about Pants to Poverty because a lot of it criticises how the business was run, and the models photographers and stylists weren't asked how to run the business; they just turned-up and did a good job. This site does not use a vague phrase - ethical fashion - followed by "what is ethical fashion?" - and an answer from a US PR department. It does not attempt to promote ethical fashion bloggers nor charge them £240 for a seminar and suggest they blog "What I learned at Ethical Fashion Forum". It does not make-up an industry called "Ethical Fashion" and call itself "the industry body for ethical fashion". This site does not have funding from Centre for Sustainable Fashion at University of the Arts' London College of Fashion, Fashioning and Ethical Industry, Delphe Development Partneships in Higher Education from the British Council in Dhaka, UK AID from the Department for International Developemt, or UNIDOm United Nations Industrial Development Organisation, all quoted in a funded publication which listed firms like Pants to Poverty and the fictional Juste and ended "information from the companies themselves ... unverified", as academic articles like this do..